Staying up to date with the latest news and trends in the marketing world can be overwhelming and a lot of hard work. Marketers today want to learn the latest ideas, tips and trends that will help grow sales and drive results. Without question, marketing plays a crucial role in developing, producing and selling products and services. When you listen to these marketing podcasts you get access to exclusive tips and strategies to give your business that extra boost it needs. Below are some of the best in-depth interviews from the top entrepreneurial experts and thought leaders in the industry who share their successes, failures, tips and life stories with you. They will give you insight and tactics on how to use the right media, content, SEO and marketing strategies to become successful in the marketing industry. On your next drive to work or in your spare time, listen to a killer marketing podcast to stay on top of your game and become the marketing guru of your dreams. Every week your hosts, John J. 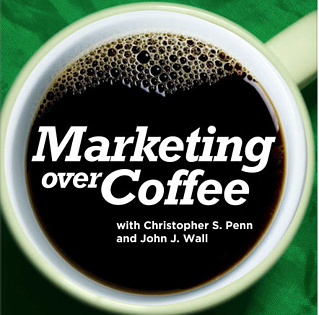 Wall and Christopher S. Penn give listeners the scoop to everything new in the marketing industry. In their episodes they talk about how strategy implementation can improve your sales, SEO, Google Analytics and inbound marketing tactics. They also answer important questions from their audience regularly on the show. Each show lasts about 20 minutes long and is filled with awesome business and marketing insights and tricks that you can start implementing today! And answer fantastic questions from guests and listeners like you! Today people are crushing the online industry through passive income. 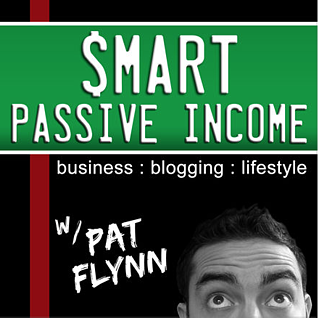 With Pat Flynn’s weekly podcast he reveals to listeners all of his online business and blogging strategies, income sources and he gives you the secret sauce to killer content marketing so you can be ahead of the curve with your online business or blog. He interviews industry experts like Michael Stelzner. Every week he helps you discover how you can create multiple passive income streams that work for you so that you can have the freedom to do what you love. Smart Passive Income helps his audience learn insights and strategies on what works and what doesn’t work in areas such as, social media marketing, affiliate marketing, automation, outsourcing, search engine optimization (SEO), niche sites, etc. In this business podcast Tim Reid is the host. His show is laser-focused on helping you, the motivated business owner, learn effective marketing ideas that you can use to grow your business into the empire it deserves to be. He has been in the marketing game for 30 years! What’s the best marketing to do? Where do I start with my marketing? How do I use social media effectively? If you are ready to take your business to the next level with some highly effective marketing, then you’re in the right place! 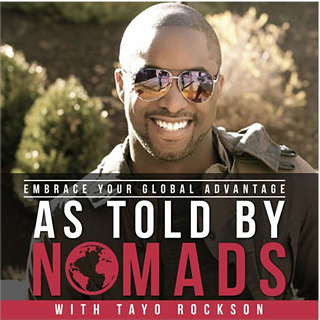 As Told By Nomads features interviews with global nomads and entrepreneurs who are leaders in business, to discuss what it takes to embrace your global identity and become a thought leader. This business podcast was featured on Entrepreneur as the number 2 business podcast! How can business today improve their bottomline by incorporating diversity and inclusion strategies in their workforces? How can companies individuals successfully spread their message of inspiration to wider audiences? 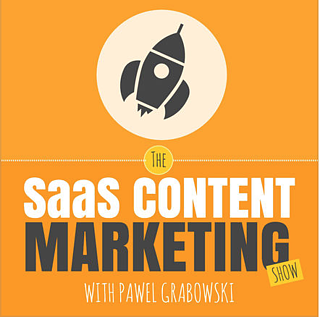 This podcast is great for SaaS founders and marketers looking to leverage content marketing to dramatically increase sales and scale their business. Every two weeks he brings people like you, SaaS founders, CEOs, and content marketers, the insights, and tools you need to launch and manage your company’s successful content marketing strategy. Are you ready learn proper content marketing strategy? 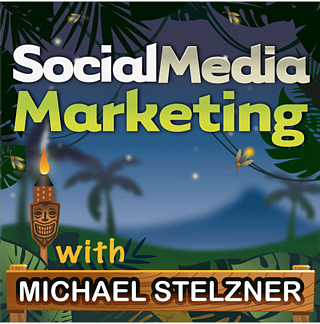 Social Media Examiner’s Michael Stelzner has the ultimate business podcast to help your business navigate the social jungle with success stories and expert interviews from leading social media marketing pros. 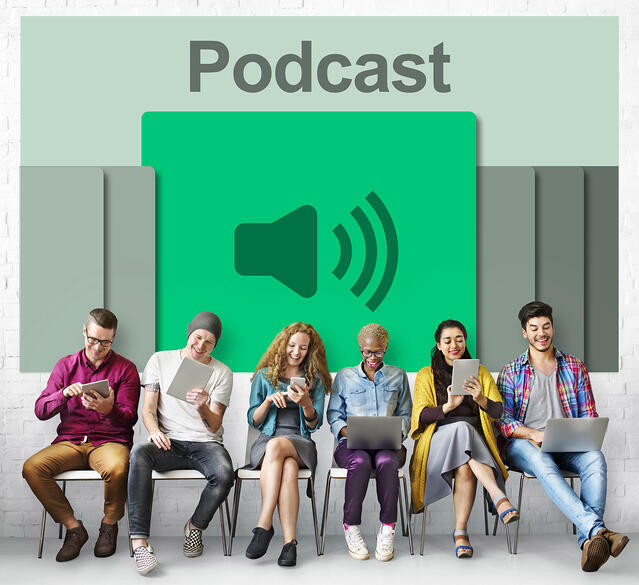 Listeners discover how successful businesses employ social media, learn new strategies and tactics, and gain actionable tips to improve your social media marketing. Each week his podcast focuses on new social media strategies, giving his audience tips they can use to improve their social media results. He is one of the top social media examiners in the podcasting world! Whether or not you are a small or large business, they will help you figure out what the good and bad social media strategies are. You can download the transcripts and listen in anytime you want. Are you ready to make your business thrive with social media? This isn’t another marketing podcast, but it is one of my personal favorites! 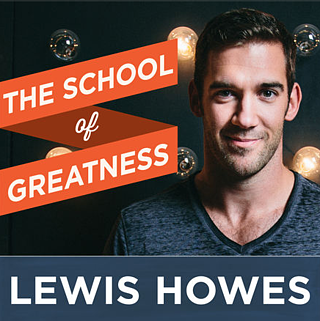 Lewis Howes is a New York Times Bestselling author, lifestyle entrepreneur, former pro athlete and world record holder in football. In many of his episodes he talks about what it is like for men to take off their mask of masculinity. His audience is directed more towards men, but I have found that women can learn a lot of amazing life lessons by listening to his podcast. The School of Greatness is to share inspiring stories from the most brilliant business minds, world class athletes and influential celebrities on the planet. Are you ready to find out what makes great people great? The Growth Show is the ultimate business podcast for executives and entrepreneurs that shares stories on what it’s really like to grow a business, a movement, an idea, or a team. Each week they sit down with an expert who has achieved remarkable growth and break down and discuss how they did it. This is a great business podcast with in-depth interviews for small business owners who need inspiration on how to get ideal customers, better market, report and analyze sales. 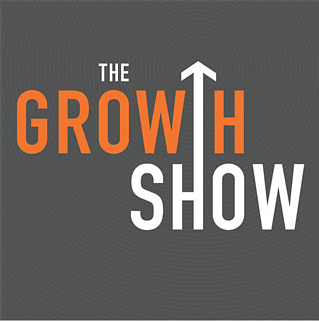 The Growth Show features some really awesome, expert guests from a wide variety of backgrounds. 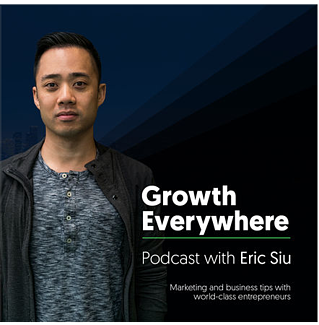 Growth Everywhere is a weekly interview series with entrepreneurs and marketers on the latest news in digital marketing and entrepreneurship. 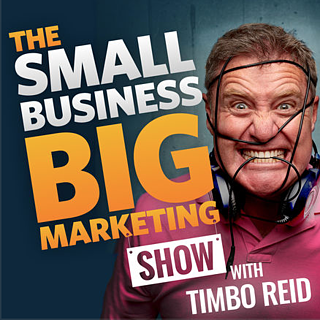 In this podcast you’ll get loads of content about marketing and sales strategies. Listeners will learn actionable strategies and tactics on how you can make your business grow and mistakes to avoid during the journey. Eric Siu will also talk about why content marketing is important and a look into participation marketing. Get marketing and personal growth lessons from thought leaders such as Pat Flynn and Neil Patel. 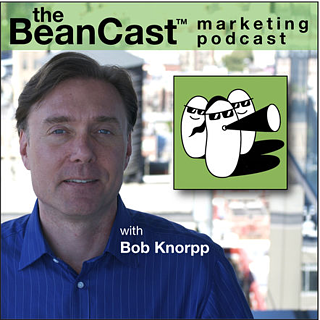 The BeanCast is a weekly podcast, featuring notables from the marketing, advertising, interactive and public relations community. They interview knowledgeable hosts and industry professionals who talk about the ins and outs of social media marketers. This is one of the funniest, informative and entertaining podcasts out there! With a wide range of guests, you’ll discover plenty of resources to pursue each week. Do you need help with your Digital Marketing? Click below!